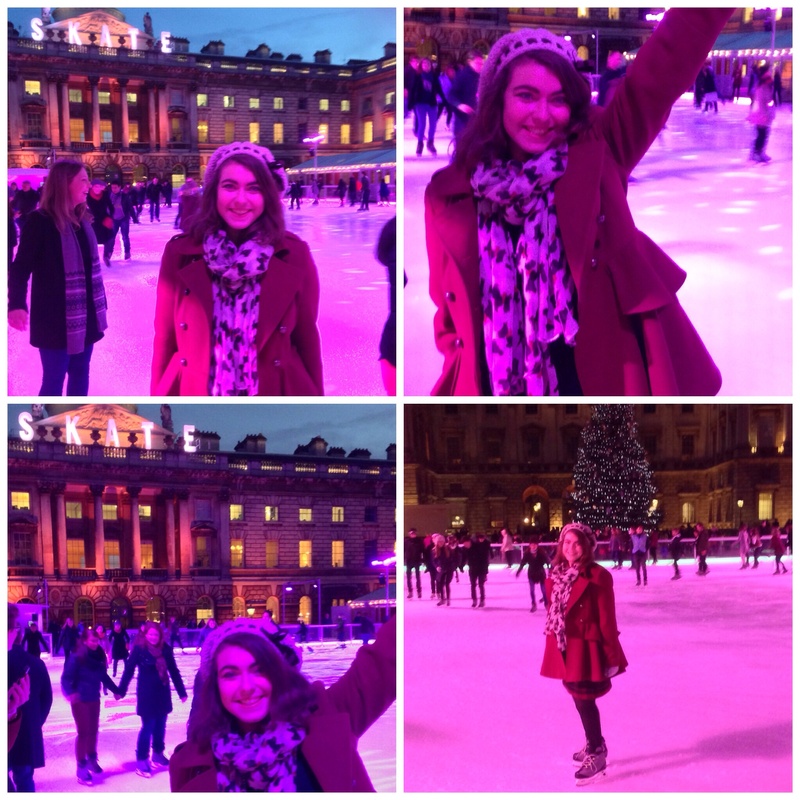 There’s nothing like starting off the festive season with a bit of Bambi on ice – yes, I’m referring to my iceskating attempts. 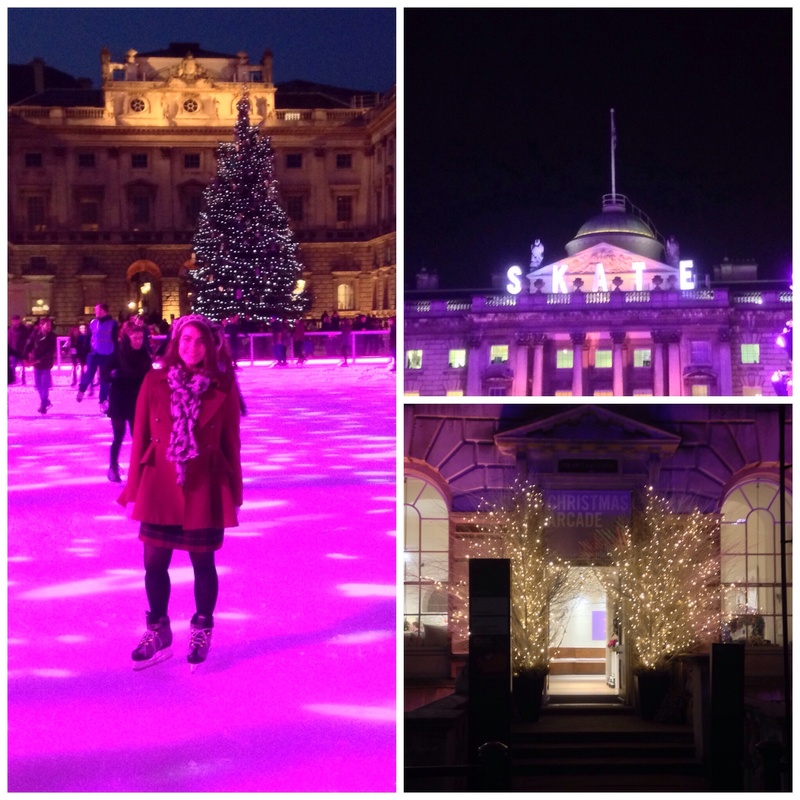 On my last full day in London, I got the chance to go iceskating on a beautifully lit outdoor iceskating rink – surrounded by the neoclassical façade of the wonderful Somerset House, which has served as a backdrop to two James Bond films, “Tomorrow never dies” and “GoldenEye”, both starring Pierce Brosnan as James Bond, the super smooth intelligence officer with the famous code number of 007. 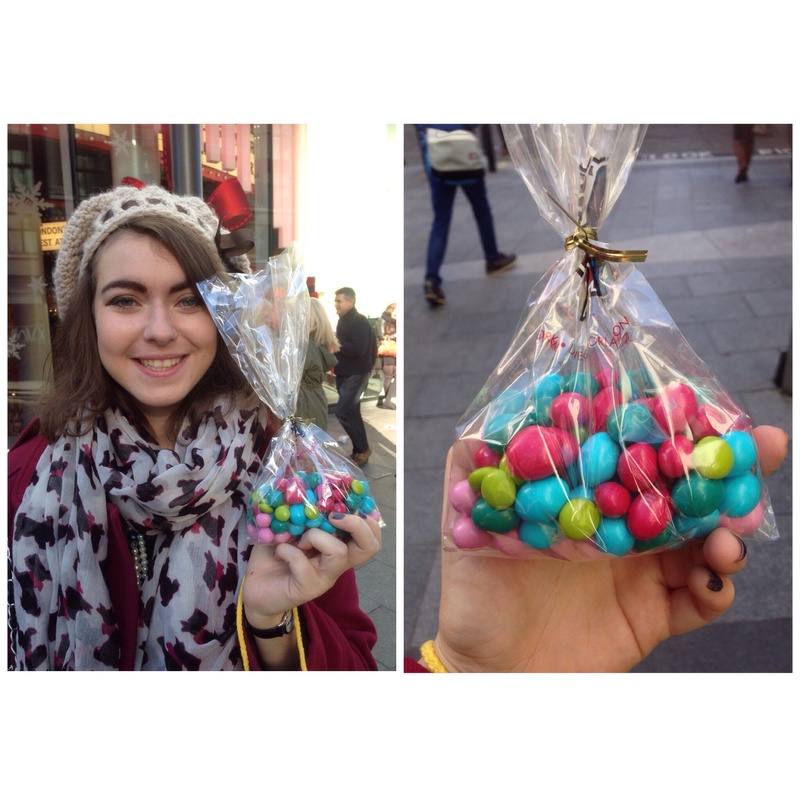 After meeting Brendan at Euston, the day started off quite early with a walk around Leicester Square – you remember how I mentioned that I definitely didn’t cave into the temptation of buying peanut M&Ms from M&Ms World? I caved. Oh, how I caved. You can see that in my shame (and euphoria) I couldn’t even look straight at the camera. London tourists, heed my advice – Definitely don’t go into M&Ms world on an empty stomach – as they say, a fool and their (or in this case, her) money are easily parted! 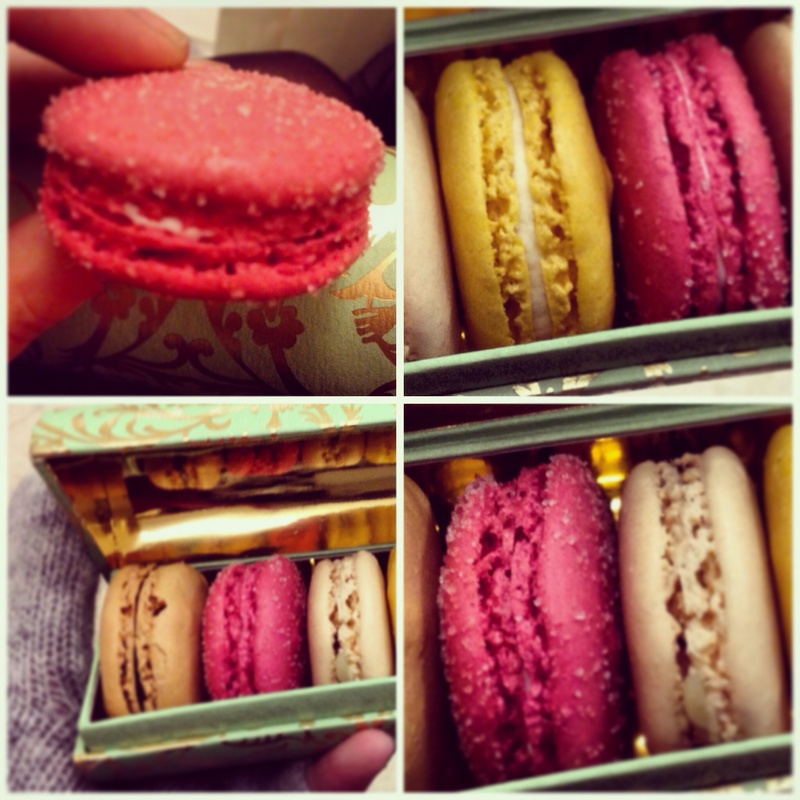 After a short break for lunch, the next pit stop was Ladurée in Covent Garden to buy some macarons – I’d failed to locate the Ladurée café in the labyrinth of Harrods the day before and I wanted to buy some to share with friends. I hasten to add that by this point, I had hidden the sealed M&Ms in a deep, dark recess of my satchel and had blocked out their purchase from my memory. Despite appearances, I am not the ultimate sugar junkie. Ladurée have beautiful display boxes – once empty, macarons devoured, the glamorous boxes are perfect to keep jewellery or mementoes in. I had my eye on a mint green cylindrical case covered in gold baroque swirls – it looked as if it would make a great glasses case. After I splashed a casual fifteen pounds on pastries, we carried on our walk from Covent Garden along towards the river and ended up walking around Somerset House. 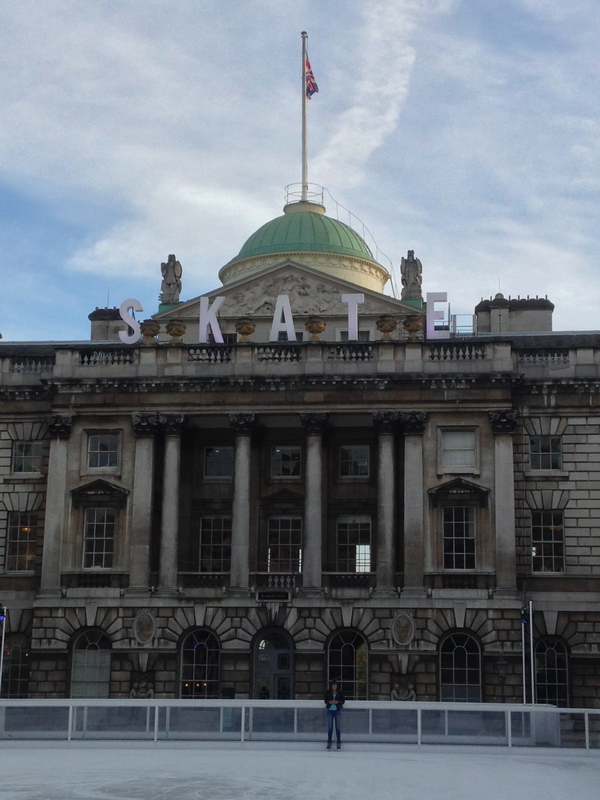 We had already discussed the possibility of going ice skating, however ended up at the Somerset House rink completely by accident – it must have been fate! 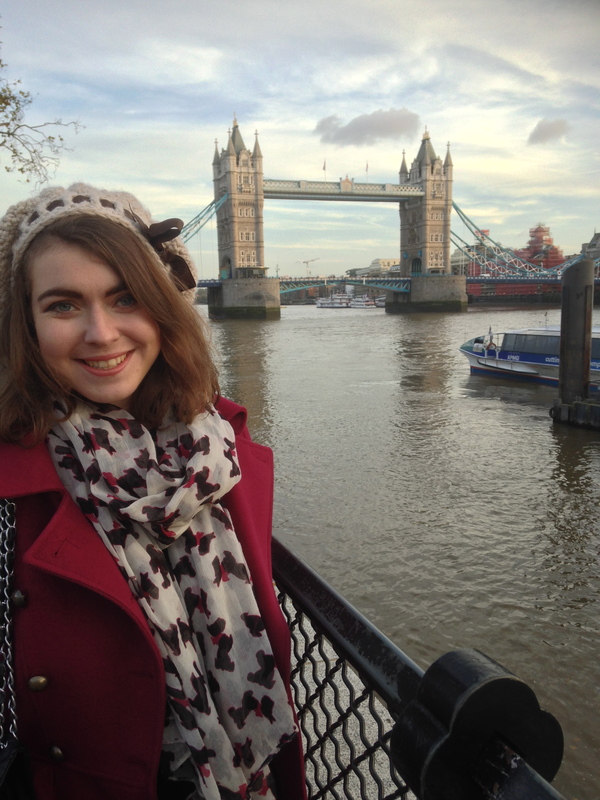 We booked tickets for a skating session at 16:45 – that gave us a bit of time to wander around the Embankment and take in the sights around the Tower of London and London Bridge. The Tower of London is a major tourist attraction or honey pot – the buildings are allegedly haunted by the ghost of Anne Boleyn (the second wife of bloodthirsty King Henry VIII). 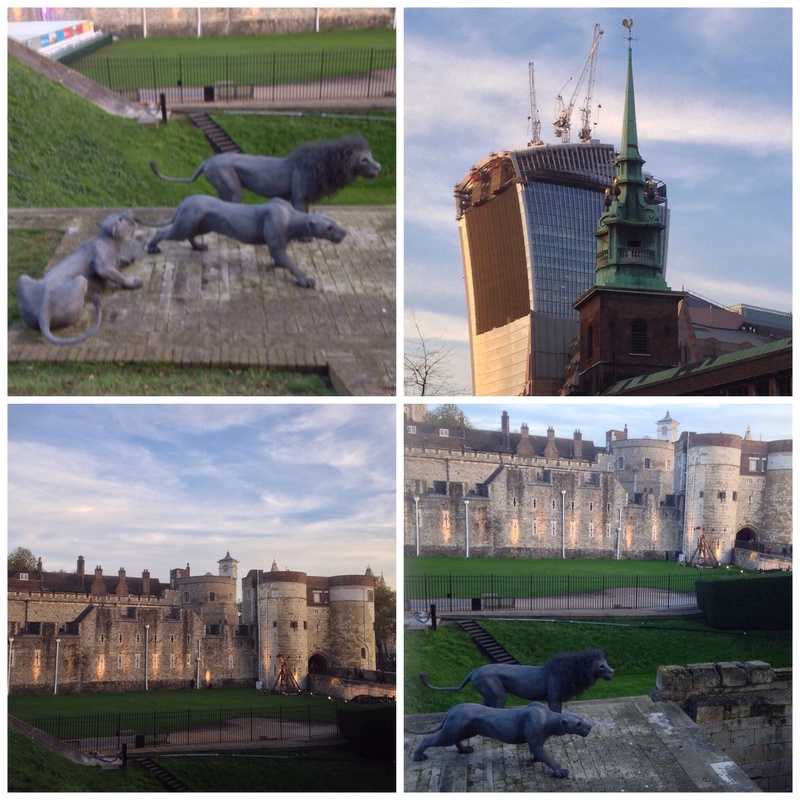 The wire sculptures of lions pay homage to the lions that were once kept at the tower in the Royal Menagerie. Across the river, we could see the HMS Belfast – an impressive floating museum which is operated by the Imperial War Museum (it was also the filming location for a hilarious Christmas Special of the BBC sitcom “Outnumbered” a few years ago). I left my bags behind in the cloakroom (this cost me one fine english pound but was really practical) we exchanged our shoes for skates and hit the ice. It was pretty magical – I felt as if I’d been whisked away and transported into Disney’s Fantasia. Classical music was played – it was a relaxing and chic experience, gliding along a rink lit up in purpley pink hues whilst excerpts from Tchaikovsky’s ‘Waltz of the Flowers’ from ‘The Nutcracker’ and Beethoven’s ‘Pastoral Symphony’ were played. Much to my relief, there were no dodgy British Christmas Classics played (Slade and Wizzard, I’m talking about you) – I love the festive season but those kind of songs bring out the Grinch in me! Before we headed back to the train station, we took a quick glimpse into British memorabilia shop “Cool Britannia” which was very quirky and sold everything from cuddly toys and snow snowglobes to life-size One Direction cut outs. I didn’t buy anything, but it was a colourful shop which left a fun and vivid impression on me – just like vibrant, cosmopolitan London really! 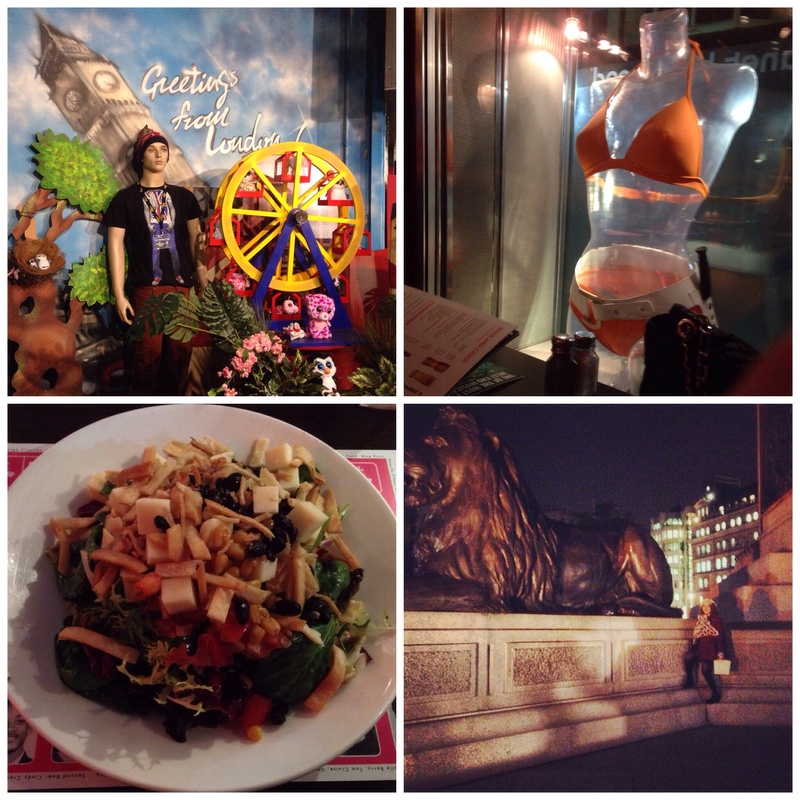 It truly was a lovely last night in London.